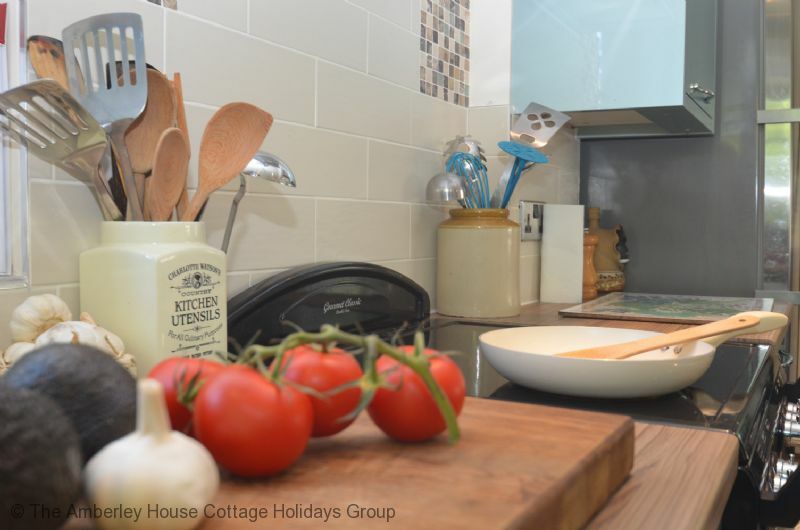 Tollgates is the perfect holiday home for all the family, and parts of the property date back to 1850, so it comes with bags of character too. 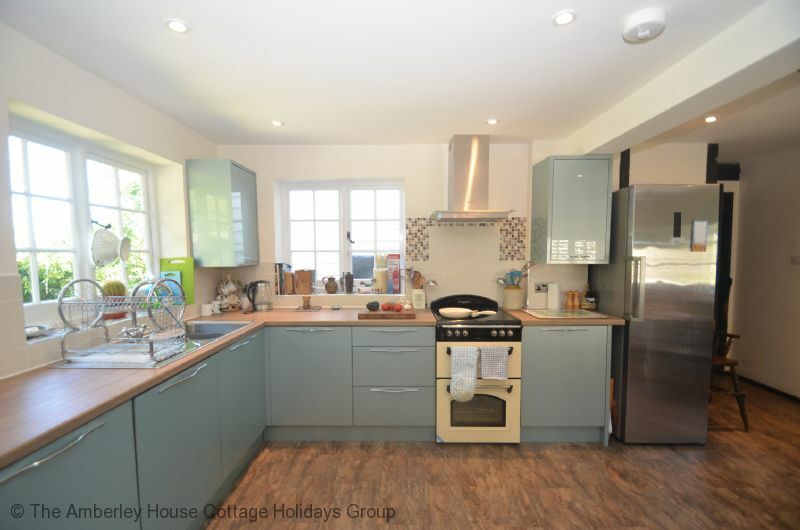 You enter the property through the kitchen, which is large and modern with all the appliances you would want when on holiday. 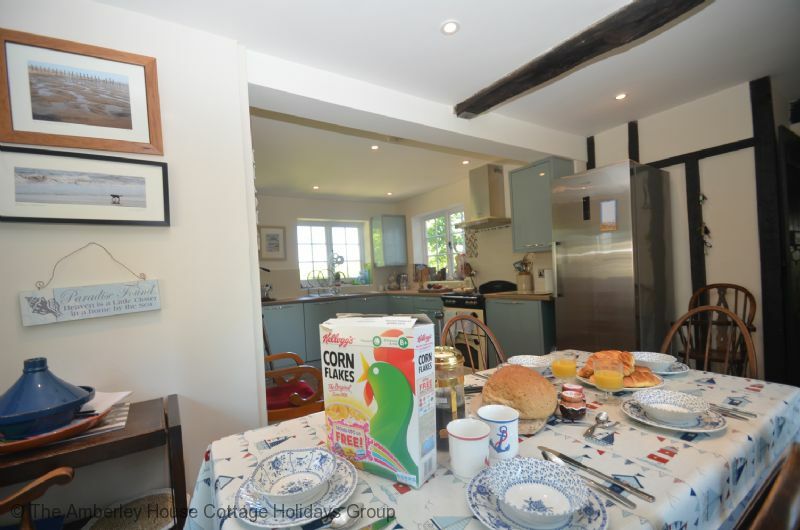 There is a kitchen table with seating for six - a pleasant spot for breakfast or afternoon tea. 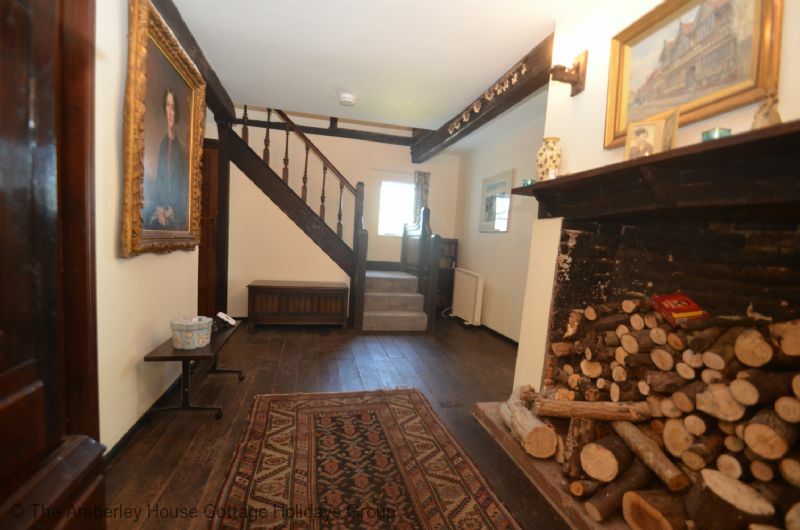 From the kitchen you enter into the large hallway, with a downstairs modern shower room to your left, oak staircase up to the bedrooms and doors to the other reception rooms. 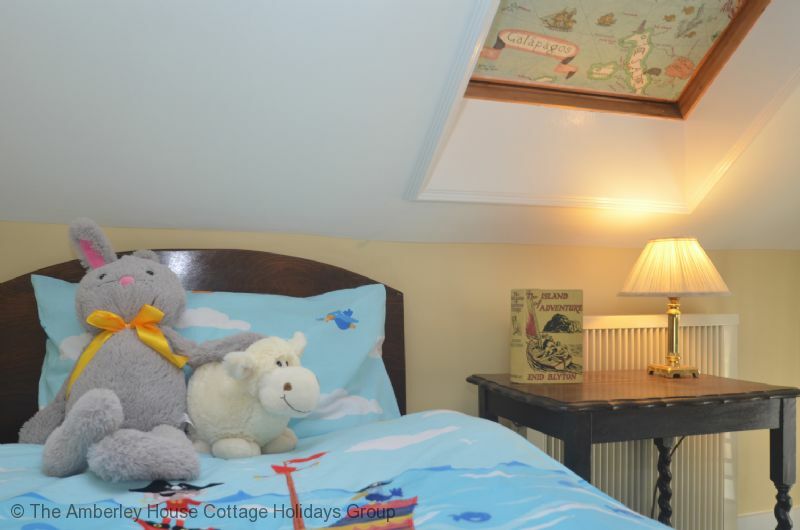 You have a children's TV snug - the perfect spot for children to play games or watch something different to the adults in the party, and if you are cooking tea, you can keep an eye on them through the secret hatch. 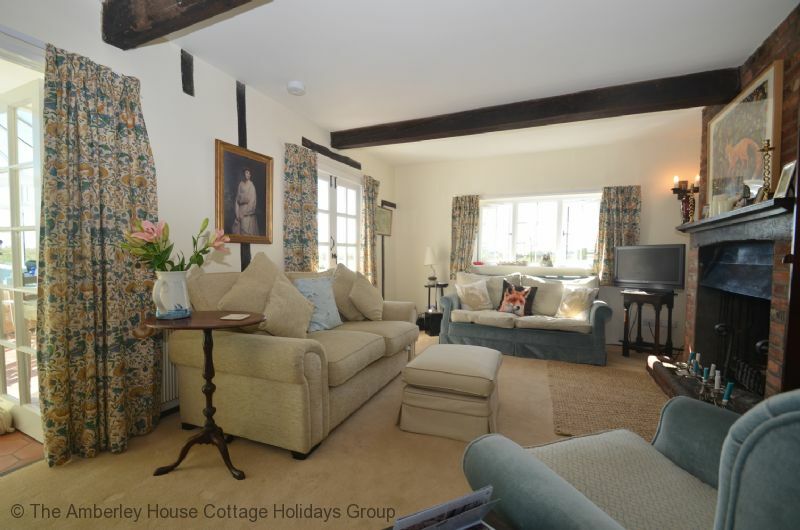 The main lounge has comfy sofas, a large open fireplace, French doors out onto the terrace and windows overlooking the rear and the front of the wraparound garden. 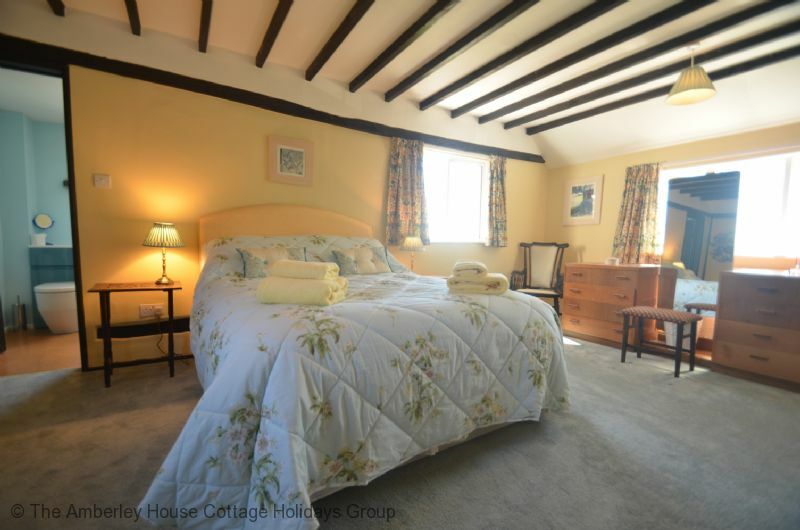 A lovely bright room all day long, and in the autumn and winter months it's very inviting with the fire lit. 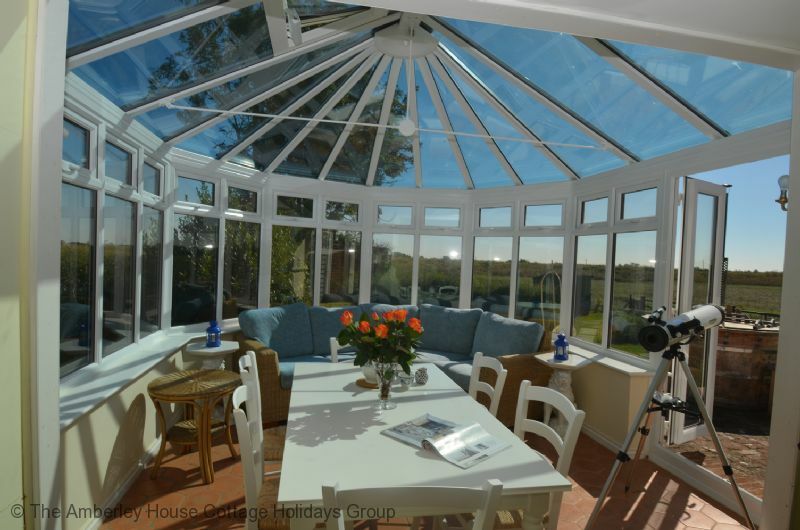 From the lounge you have doors leading to a large conservatory diner, with French doors out onto the terrace. There's a large sofa at one end and two tables that can be placed end to end in order to accommodate all nine guests in the party for a sit down meal. A great entertaining space at any time of the year. 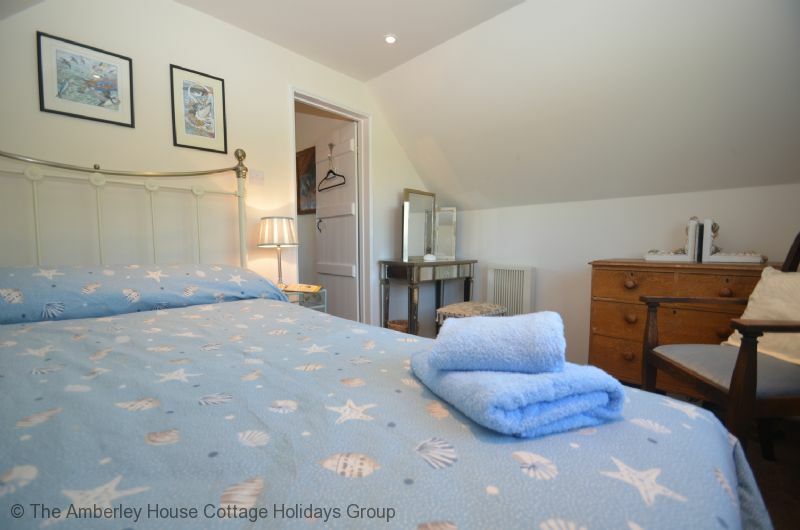 Heading upstairs and you have a single bedroom on your right, with views across the marsh and the garden. 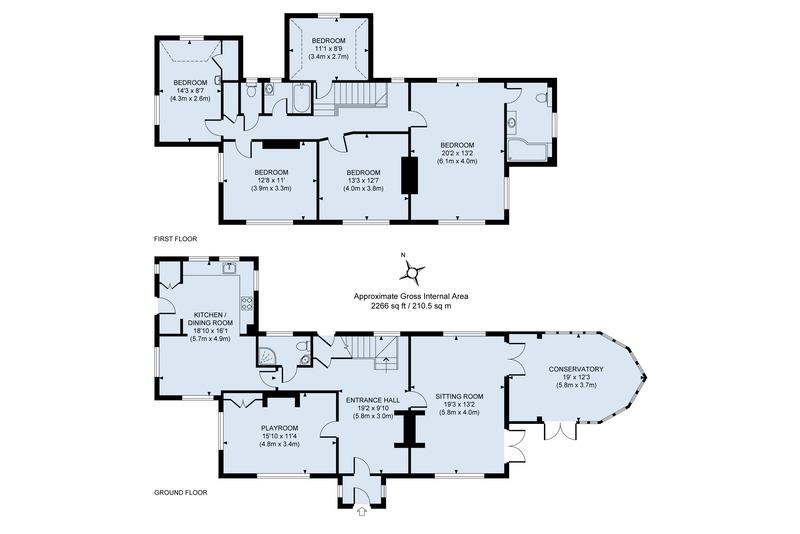 To the rear of the landing you have a large master suite with ensuite bathroom and triple aspect views. 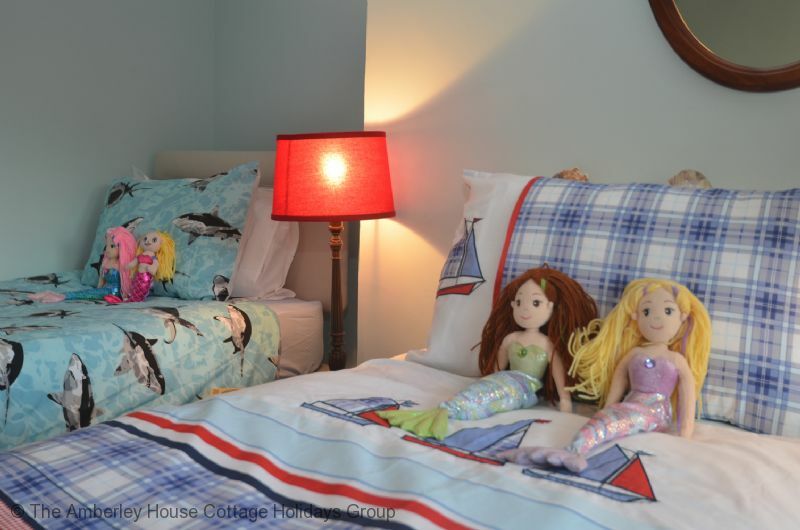 There are two twin bedrooms, nicknamed the 'Pirate' and 'Mermaid' rooms. The 'Pirate' room has its own hand basin. 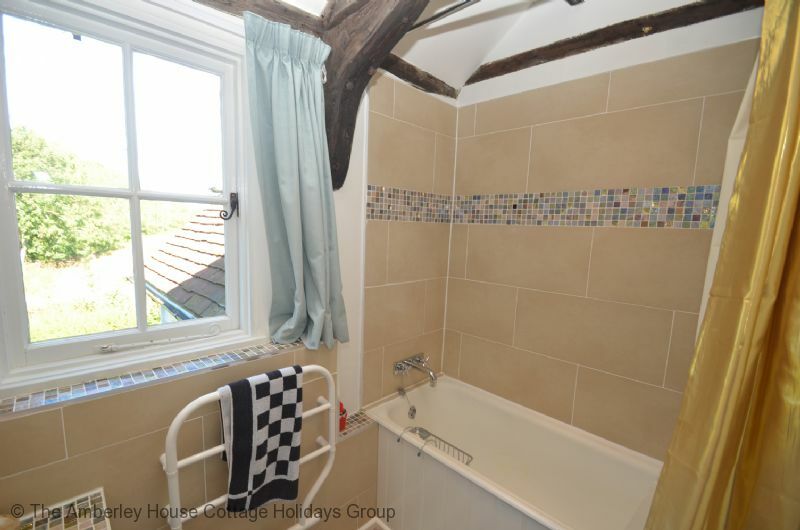 There is a separate family bathroom with a bath and over head shower and a separate WC, next door. 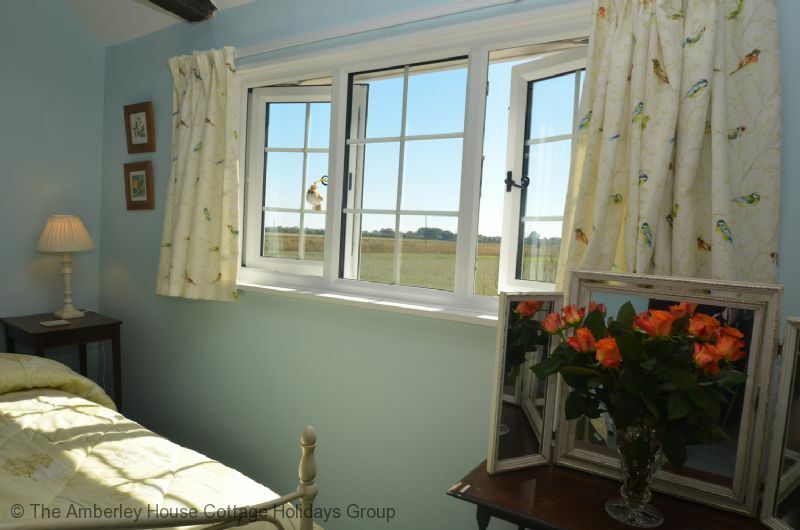 Finally we have 'Birdsong' room, a double with views across the garden and marsh. The grounds wrap around the property and there is easily enough parking for up to four cars on the gravel drive. 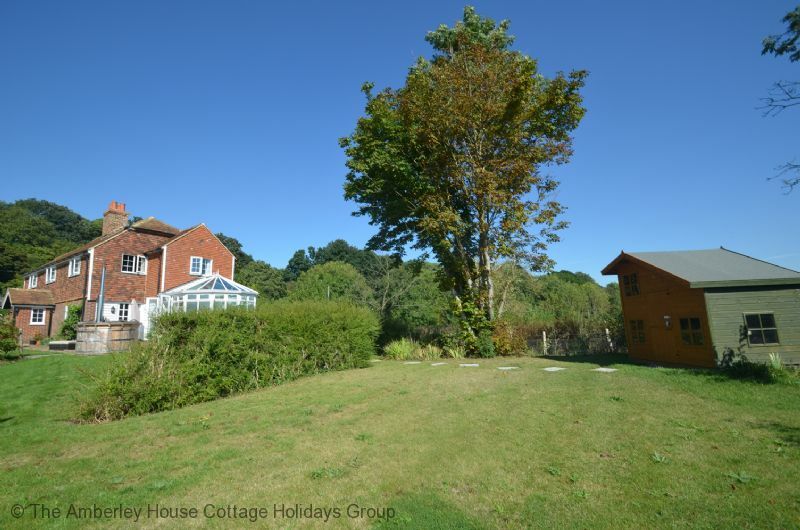 The rear of the property has been arranged to appeal to families with children, with an outside swingset, slide and table tennis which is a favourite whatever your age. There is a wooden playhouse for the smaller children in the party at the end of the garden and a lawned area perfect for a game of football or croquet. 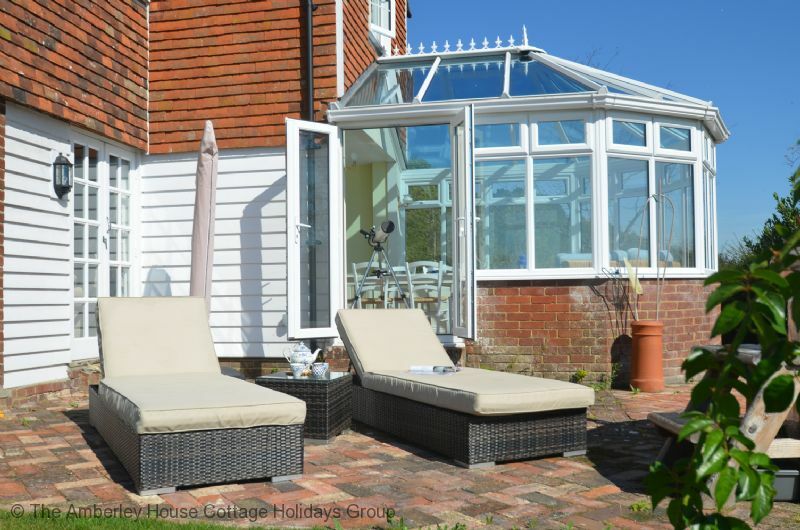 From the conservatory, you have a terrace area where you can dine outside or lay on one of the sun beds provided and take in the uninterrupted views of the marsh and the garden. For tennis lovers amongst you, you are a five minute walk from Rye Lawn Tennis Club, so bring your racquets. 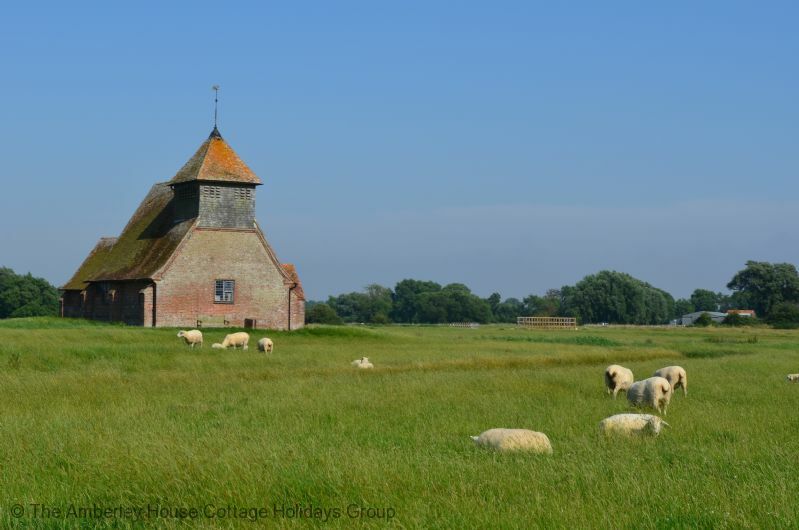 Tollgates is a great base for exploring Rye and the local beaches of Camber Sands, Winchelsea Beach, the Pett Levels and Fairlight for fossil hunting or cliff walks. 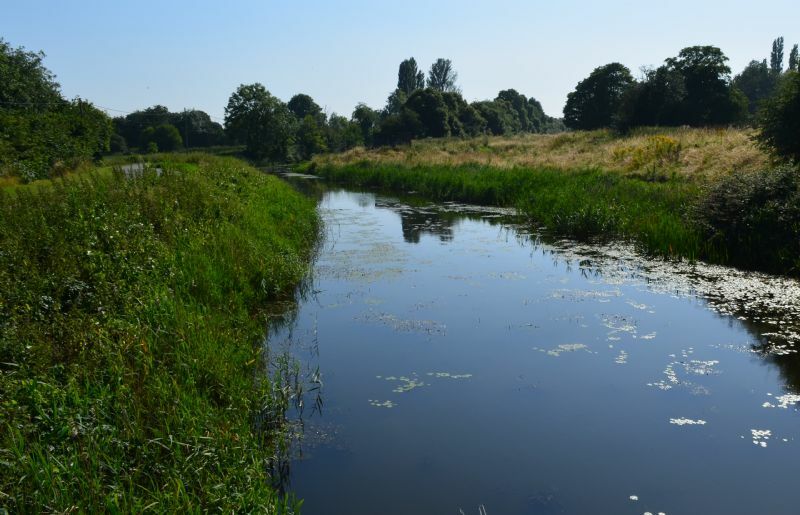 The town centre is a fifteen minute stroll away and has plenty of history to explore and a good selection of independent shops, cafes, restaurants and pubs. 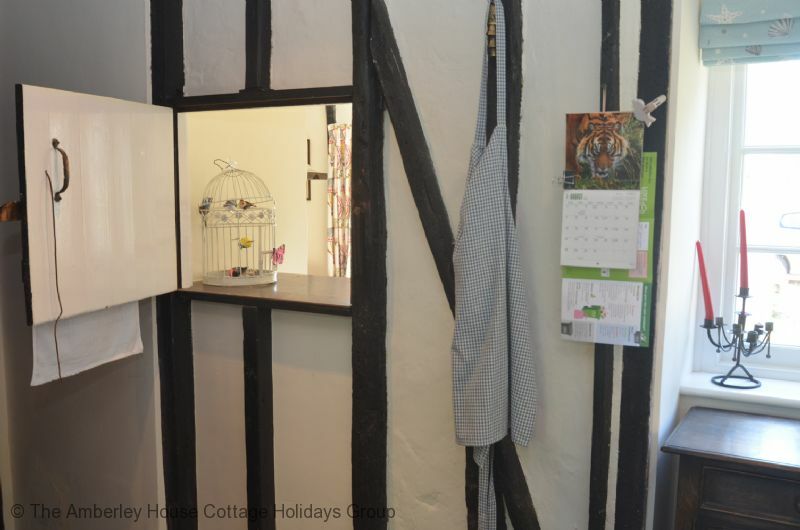 Whether you choose to take the 'Mapp and Lucia' or 'Ghost' tour around Rye, your first stop should be the Heritage Centre down by the quay. 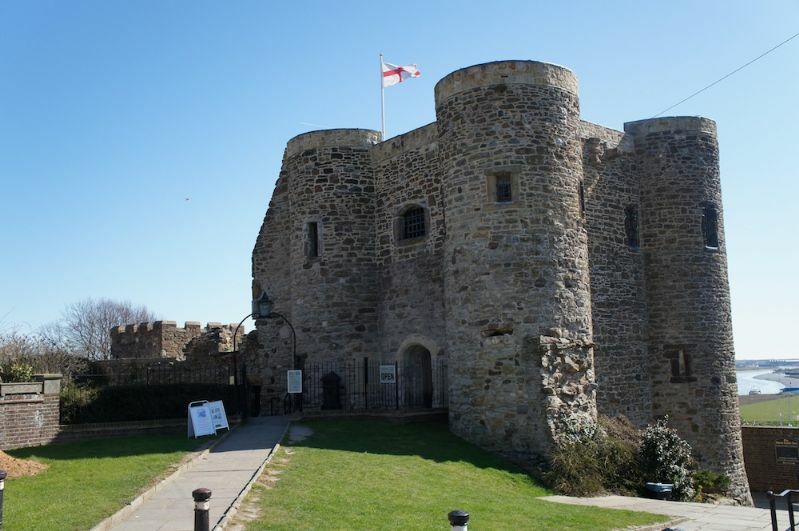 Here you can pick up useful guides and information on local places to visit, while away an hour playing the old penny pier machines or watch the town's 'Sound and Light' show and learn about Rye's smuggler past. If you wish to go further afield, the seaside town of Hastings is a short drive away and here you can walk amongst the fishing boats, browse the antique and bric-a-brac shops, try your luck in the arcades, stroll along the pier or visit the Jerwood Gallery, and most importantly, treat yourself to fresh fish and chips! The 1066 Country has plenty of castles, grand houses and National Trust gardens to visit - you really are spoilt for choice. If you fancy a trip to the continent during your holiday then the Euro Tunnel is thirty five minutes away by car, or take the train from Rye and pick up the Eurostar from Ashford International Station. Lydd Airport offers flights to Le Touquet which take only fifteen minutes, so you could even fly to France for lunch on a special occasion. The area has so much to offer, we hope you will leave wanting more. Tollgates - 415085 Tollgates. 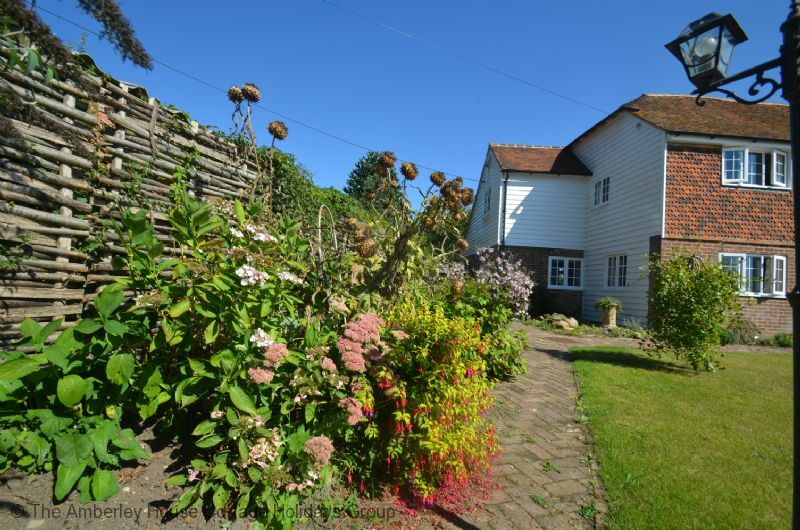 Large holiday cottage in Rye, perfect for extended family gatherings, a 15 minute walk from the centre of town, great wedding house if marrying in Rye. "I had decided i needed a house where my 9 family members could all spend more than 3hrs (the norm) eating together on Christmas Day. 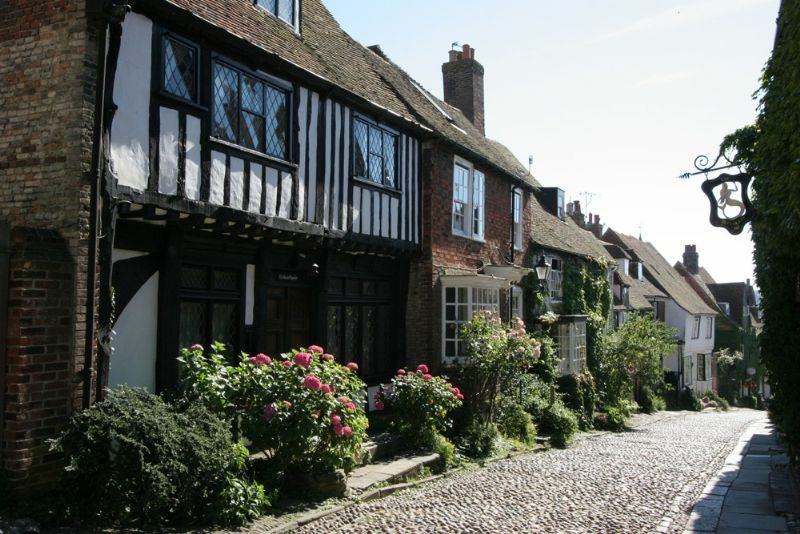 Since the late 70s we'd visited RYE on days out and loved it! So it was an easy "Google" to find TOLLGATES back in the summer. I booked 5 days immediately. When we arrived on 22 December we knew we were "home". It was the best holiday ever! My middle-aged kids giggling together was priceless. My grandchildren had never before had so much indoor freedom together. And the kitchen was ideal for us with meals 24/7 I thought. THREE lounges! WE all felt at home. (Our last one was 17th century). We miss the house. We are looking for fox cushions. We will be back. I've booked the whole week 2019!" 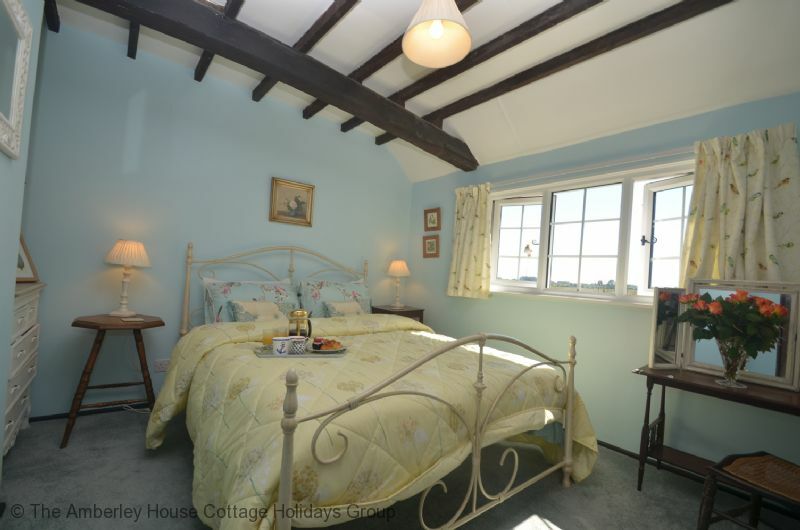 "Lovely place, very characterful. Great for groups. Heating timing was a bit temperamental (windows needed to be open at night during a New Year stay!) but lovely and warm downstairs. 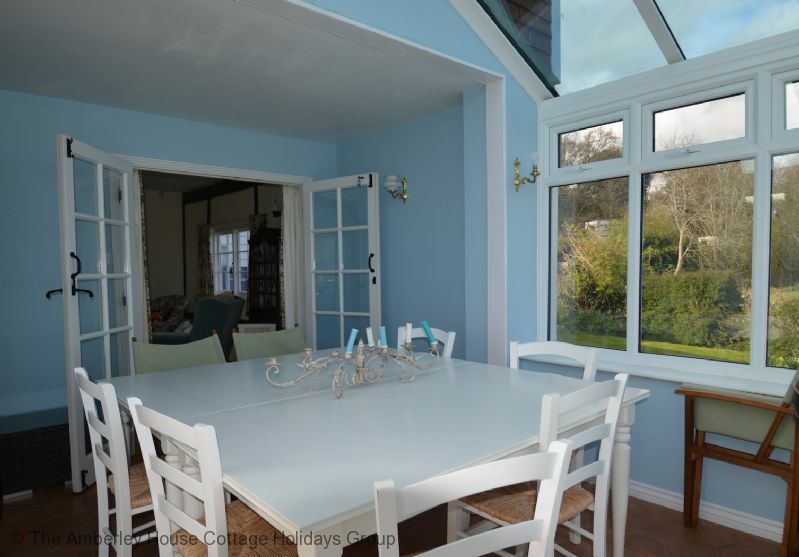 Kitchen very well equipped and lovely spacious living room and conservatory. Short walk into Rye - the first few minutes are on a road with no pavement but we were fine with buggies, would be more difficult/dangerous at night. Lovely views out of cottage. " "This has been the second time our group has come here and I don't know how but it was even better than the first time, if that is even possible. 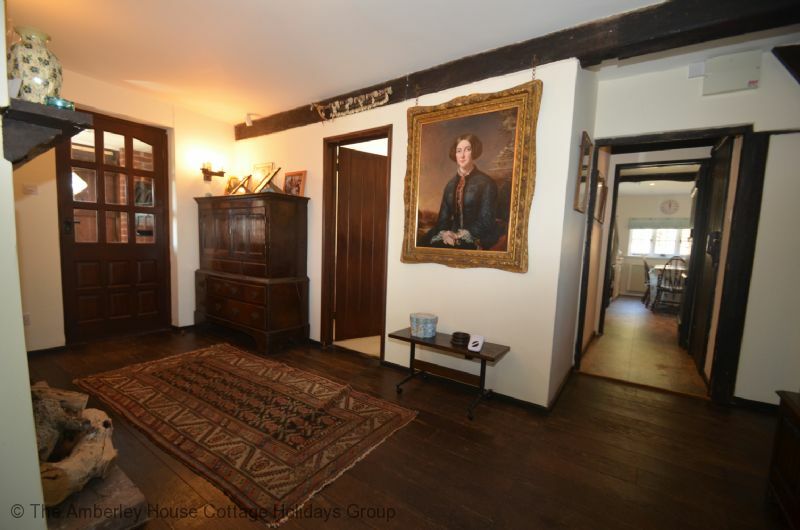 It is an absolutely amazing house, filled with character and mistery. Somehow you feel like you are a part of the souroundings when you are there. 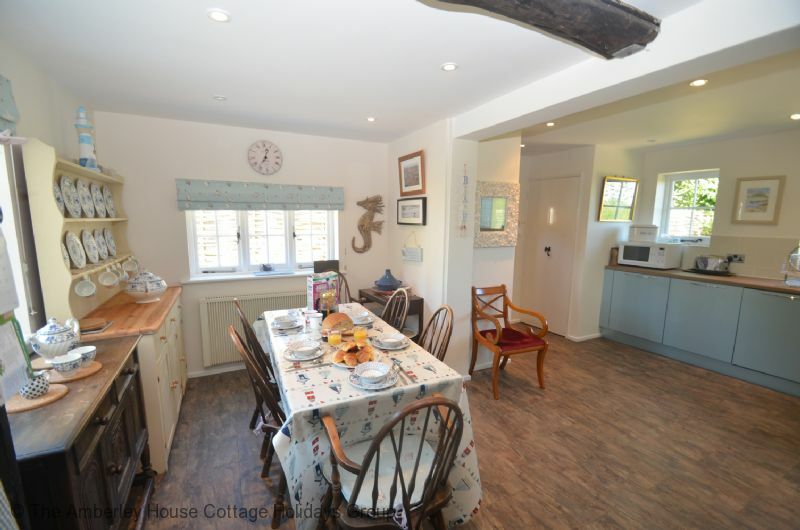 Needless to say we had a wonderful time and would recommend this house to anyone. " 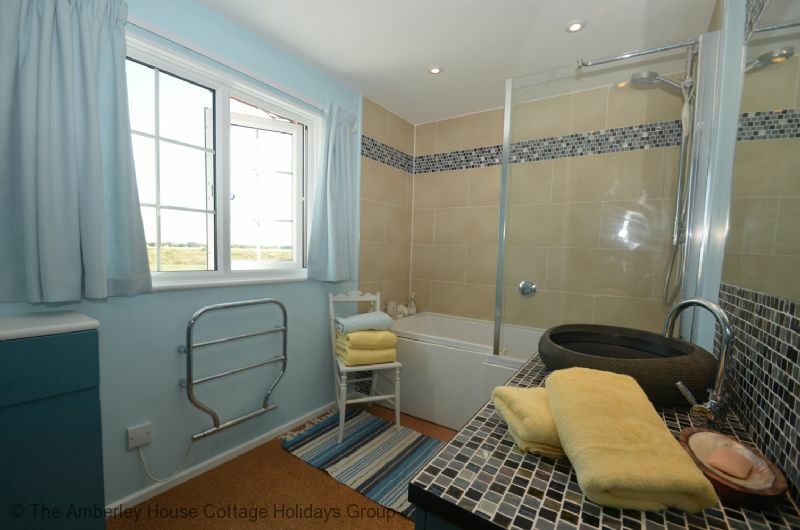 "Tollgates is a lovely and spacious house ,we did enjoy our stay. Thanks for the hamper with coffee, prosecco etc.We feld welcome! 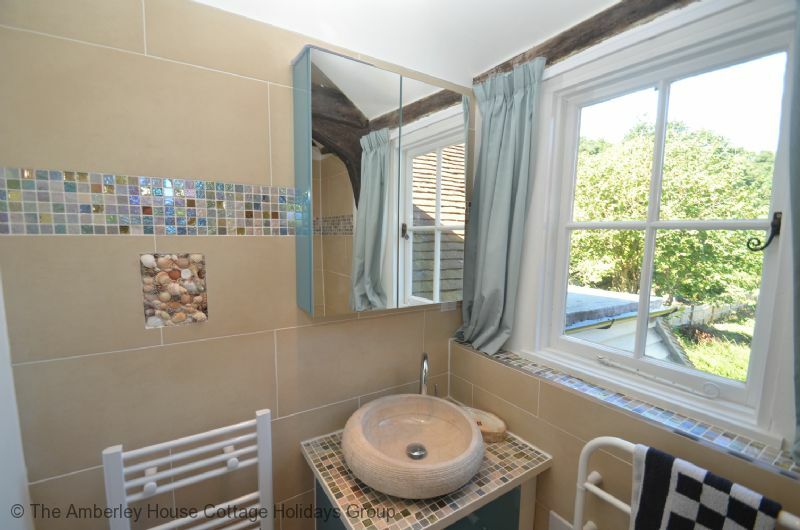 We don't have any complaints about the property, and we 'd love to come back one day... ."
"Overall we were extremely impressed with the house/grounds, views and the location. It was a lovely house, full of character and t catered well for the needs of 5 friends, two of whom were celebrating their 60th birthdays. The weather was perfect and it was lovely to relax in the garden A couple of points to raise: A bit more could have been done to have cleaned the inside of spiders webs and in particular the conservatory that had many dead flies also It would have been good to have had some decent outdoor furniture including a table that was sadly missing"
Thank you so much for taking the time to submit a review - we can only improve our services with our guests help. We are addressing the dead flies issues with our housekeeper, as you will have noticed the vent is left open in the conservatory so it isn't too hot for guests, but this does give insects the chance to get in & then not find the way back out. I appreciate the cobwebs can be a nuisance the problem with an old property is, you remove the cobwebs and within a day they are back but the housekeeper has been made aware. The conservatory tables and chairs can be moved outside to eat & the the guest folder informs you that it is ok to do this. 2 large rattan sun loungers are left out on the patio from May- September, along with a small drinks table, all guests have to do is place the cushions on. We are so glad you found the location, house and grounds impressive and we look forward to welcoming you again sometime in the future. 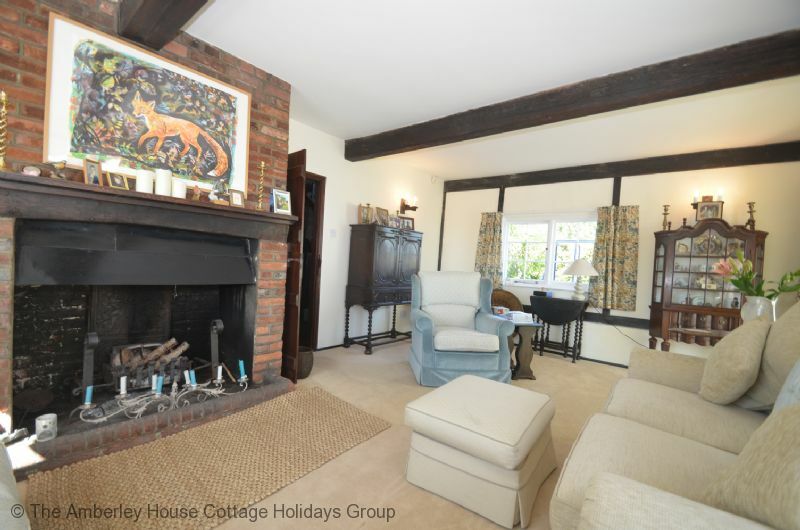 A nice cottage in an excellent location on the edge of Rye. 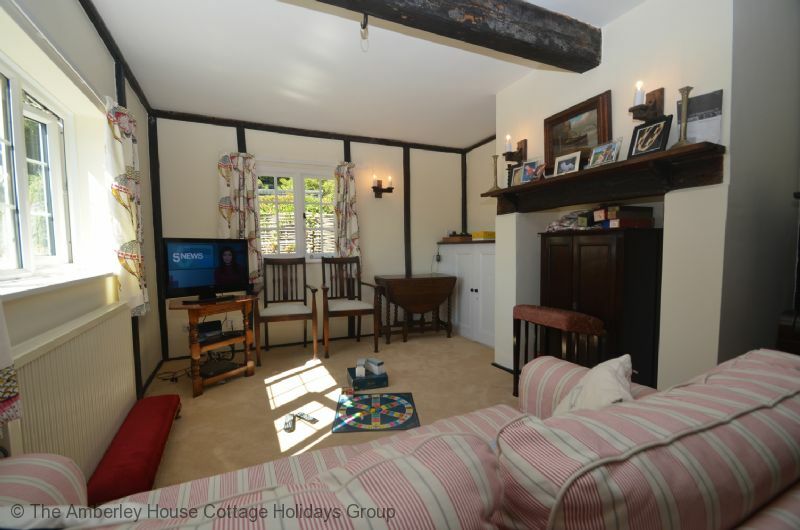 "Tollgates was a nice cottage providing very comfortable accommodation for our party of 7. We liked the wide open views from the conservatory and the pretty garden to the side and front of the house. There was plenty of parking and good facilities provided. The basket of goodies provided on arrival was very welcome and the information in the house was comprehensive and helpful. As requested, we didn't alter the heating settings but found the radiators came on at very strange times of day and night which was odd, but no other problems." 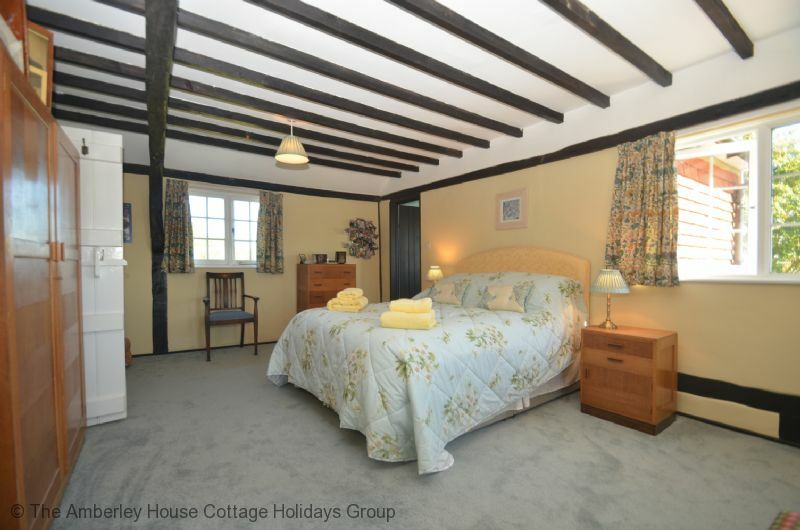 "We had a wonderful stay at Tollgates - it is a lovely house with a warm and welcoming atmosphere, well kitted out and comfortable. Just a couple of grumbles though - we were a party of 8 adults and drove there on Friday afternoon for a weekend stay. It was a very chilly evening (end April) so we decided to light the fire to make ourselves warm and cosy. However, there was such a small supply of logs and coal - not even enough to keep the fire going for that first evening - so we had to go out straight away and buy more. We also had to buy extra toilet rolls - there was 1 part used toilet roll in each of the 3 toilets, but no spares so not enough for a party of 8 ladies for a long weekend. 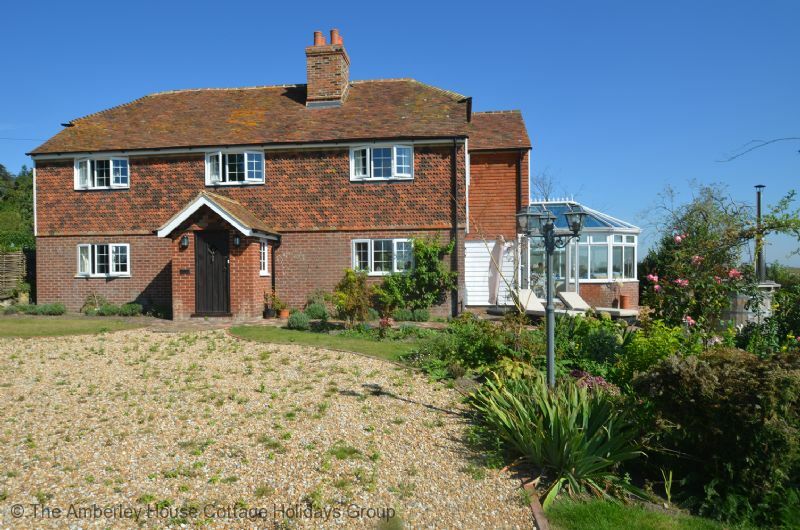 It was such a shame to find these penny-pinching situations in such a lovely house for which we'd paid a lot of money. Also, when it rained, the conservatory roof leaked so we had a very steady drip in the middle of our dining table - judging by the stain, this has been happening for some time." Thank you for taking the time to leave your feedback after your recent stay at Tollgates. We are glad you found the property welcoming, comfortable and warm. We are sorry you found a couple of areas lacking and apologies on behalf of the owner. The lack of spare toilet rolls was a small housekeeping oversight and normally there would have been a spare in every bathroom. The starter fire making kit is normally provided from September through to end of April and up until now, we have never had any mention that it was still required outside of that. Taking into account your review, the owner will make sure a starter pack is provided for every booking. The leaky conservatory had not been bought to ours or the owners attention and will be addressed. "Tollgates is a great house. It's quirky and interesting, bags of character, and bigger than it looks in the photos generally. We stayed over a long winter's weekend and loved the fireplace and playing board games, cooking and eating and enjoying each other's company. It was fab for a big birthday event. Minuses: it's further from Rye than the map let's on - a good 1/2 mile at least. Only an issue when it's rainy and dark I guess, but meant guests coming from the train struggled to find it. Oven is a bit slow to do anything, and the electric heaters took a lot of getting used to. Regardless, I'd recommend it and would stay again. " This question is not understood. "The house was very comfortable and warm. Exactly what we wanted for a family weekend for a Special Birthday celebration. It was very well equipped and we had everything we needed." 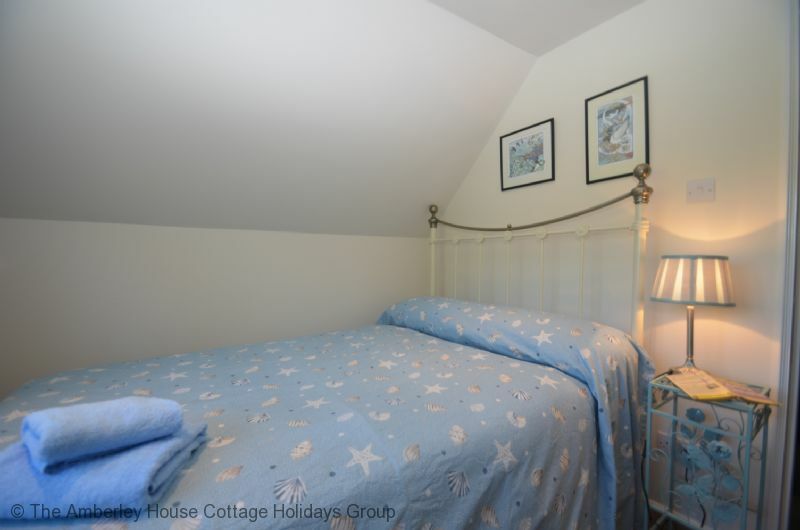 "the house was well maintained and well planned.We all enjoyed our stay and it was very comfortable.I would make one comment and that is that the heating arrangements to cope with the evenings was not that good.Also there should be warning signs to say that extra care is needed when exiting the property by car." 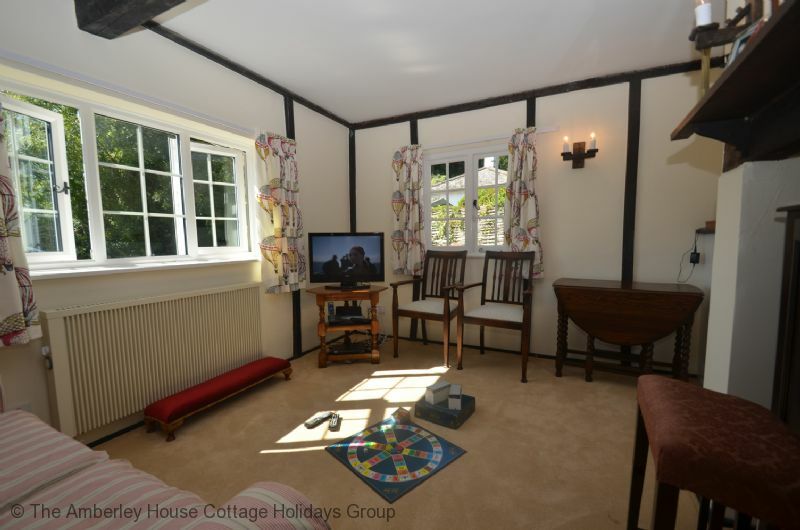 "A spacious, comfortable and generally well maintained house with a versatile layout which helps people find and enjoy their own quiet areas. Extensive grounds and plenty of parking all add to the feeling of privacy and space. 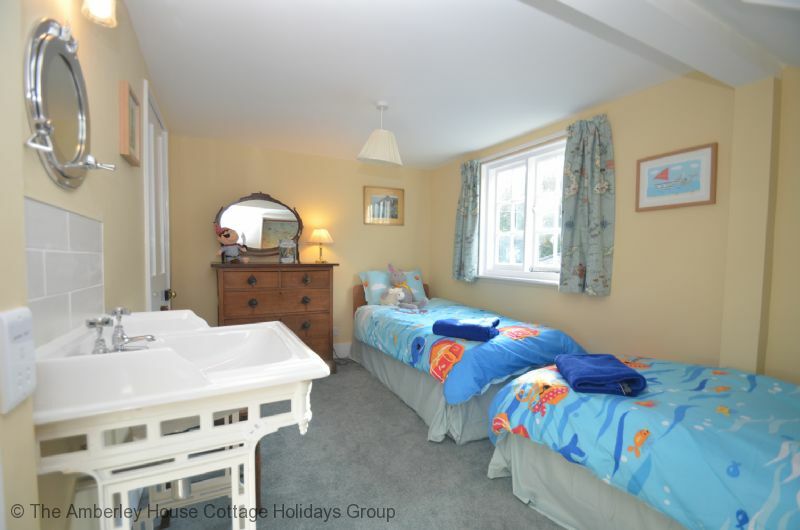 In summary a lovely holiday home which has a variety of amenities to suit all ages - hot tub,table tennis and bbq proved particularly popular during a very hot and sunny weekend." Thank you for your review, we are so glad everyone in the party enjoyed their stay. We are glad you enjoyed all the amenities, sadly the hot tub will not be on offer for future guests as its developed a fault, which makes it unusable. 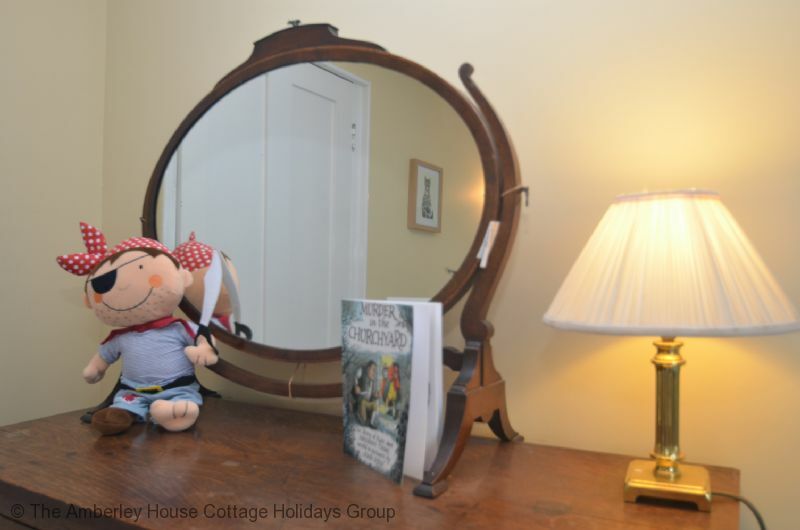 "I booked Tollgates for a birthday stay with some friends, and it was perfect. 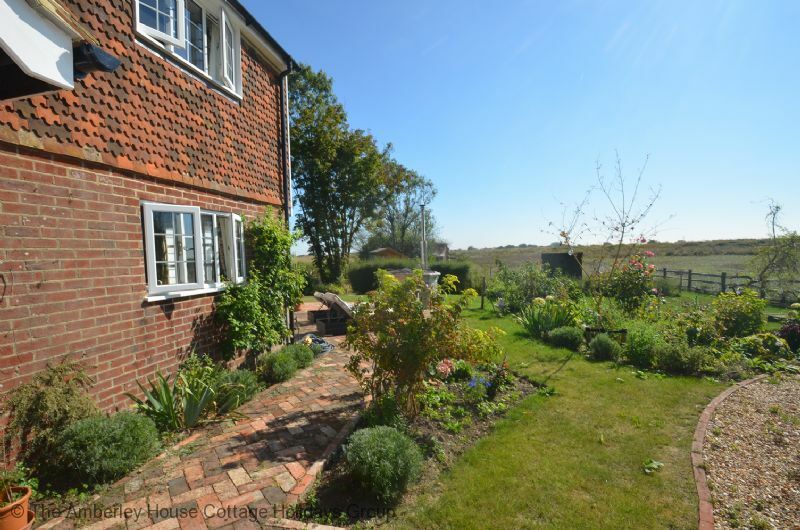 The house was lovely, as was the cottage garden. 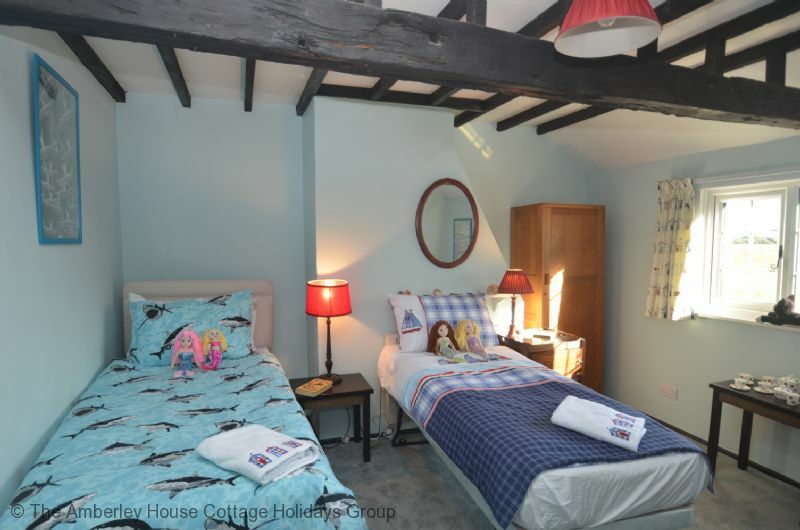 Located just outside of the centre of Rye with views across the marsh, and on the same road as The Globe Marsh Inn (with a superb selection of gins). Was very pleased to make use of the barbecue, and although we didn't attempt to get the hot tub going, I imagine that would be pretty special when it's a bit chillier. Loads to do in Rye, and it seemed to be a very friendly place. 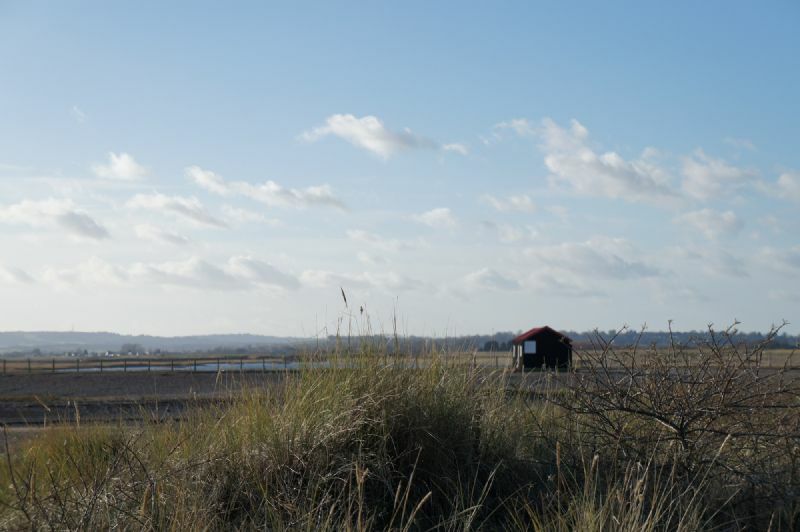 Some great walks out of town and into Rye Harbour/Winchelsea if you fancy stretching your legs. Just one thing to be aware of if you arrive on foot as we did - the last 100 metres or so of road just before the house turns into a country lane (with no pavement). It's not a hugely busy road, but remember to walk against the traffic. And if you are planning on walking home when dark, bring a torch for that last bit (or you can cut across the field that runs behind, and surprise some rabbits). Would definitely return. " We are so glad you enjoyed your stay at Tollgates & enjoyed all the benefits of booking a large house for a special occasion. WE look forward to welcoming you again in the future. "We were a party of eight, ranging from 1 to 70. Really lovely home with plenty of room for us all. The children loved the play house, slide and swings. 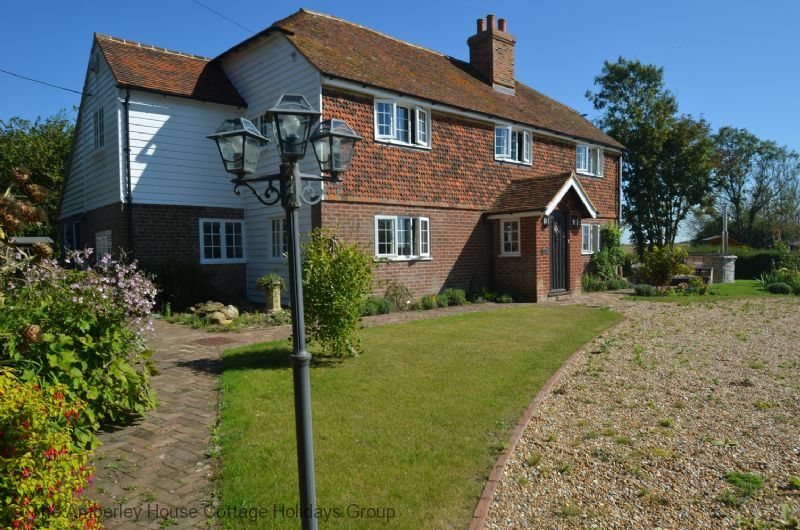 Well situated with countryside around but just a short walk to Rye. All the family enjoyed their stay here. " 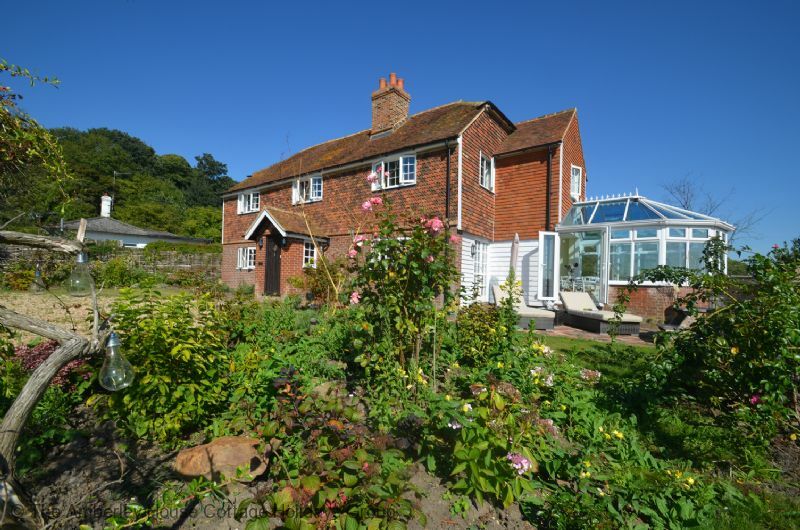 "We chose Tollgates for a family celebration and it proved to be the ideal property in a lovely location...quiet and just a short walk into Rye. The house was spacious, very nicely furnished, with plenty of garden (and an impressive playhouse). We felt very much at home there." Very pleasant house. Well kitted out. Thank you for a lovely stay. "Very pleasant house. Well kitted out. Good Location. Easy to deal with. Thank you for a lovely stay." 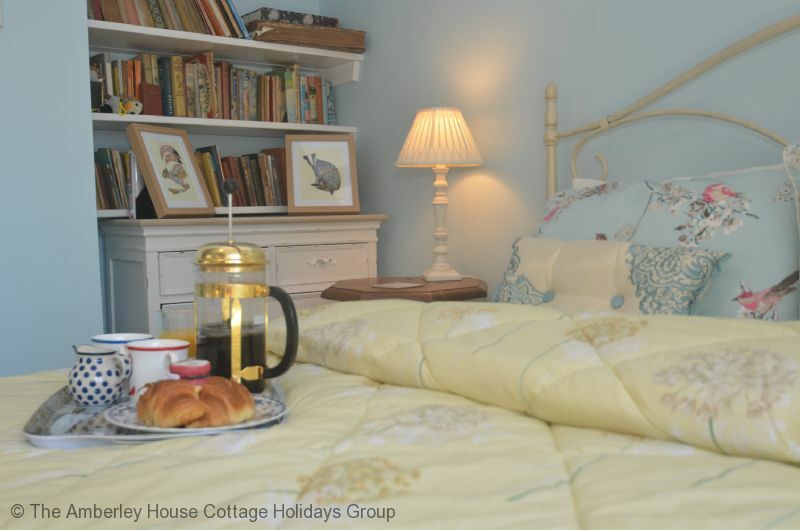 "A lovely cosy cottage, in a great location - thoroughly recommend any one to stay here. Didn't quite get hot tub going, which would have been even better. " We are so glad you enjoyed your stay at Tollgates. We are sorry you struggled to get the hot tub going, there are full instructions in the Welcome Folder in the property to assist, so if you stay again hopefully you will find those useful.